Train Like a Princess~ Treadmill or Dreadmill? Welcome to the next step in our series for runners! By now you have surely taken that all-important first step on an outdoor track. However, sooner or later, no matter how ideal your home town’s climate may be, (yes, even you San Diego), weather may dictate that you come indoors to stay on schedule. (Shall I share the story of my husband frantically driving through Hurricane Sandy to find me a gym with power? In short, it was to be my last training run before the Disney Wine & Dine Half Marathon, and my Coast to Coast Race Challenge could not be denied…) The treadmill can be imposing to beginners and boring to veterans, but is a vital and useful tool in your training arsenal. – Your pacing is precise and constant; time and speed are calibrated for you. – Today’s 4.4 miles per hour will be tomorrow’s, without the need to factor in wind resistance or extremes of temperature. – Many treadmill systems incorporate heart rate functions for easy monitoring. – Advanced treadmills may have pre-set programs for you to follow, and some top-of-the-line models will allow you to sync with Google Maps to run your specific race course as part of your training. Treadmill technology is set to really take off in the next couple of years (sorry for the pun), and dual belts and i-gadgets will become more commonplace in gyms across the country. 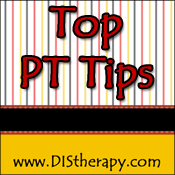 – Distractions, such as TV, movies or even blogging may pass your workout time more quickly. – Today’s treadmills have far better shock absorption than they once did. This is a softer surface to run on than asphalt OR your track. If joint protection is a consideration, the treadmill is your friend. – Your hydration and fueling is always on hand, without having to load up like a pack mule! – Most importantly, NEVER get on or off a moving belt. Ever. Straddle the belt as you adjust settings, begin or end your workout. This means you too pros! I’ve seen enough craziness to produce an entire segment of America’s Funniest Home Videos; simply put, it’s a dangerous risk you don’t need to take. – Remember, everyone has had their “first” on a treadmill, and model types can vary widely. Take the time, on a stationary machine, to look over its functions, and ask for help (or a spot) if you are unsure. Before long, you’ll “own it”! – Realize that running on a treadmill will not require the same energy or muscle loading as compared to your run on the race course. The belt will actually assist in the swing or flexion of the knee (it “pulls” your weight bearing leg backwards), making this an overall easier workout. This is ideal for beginners, but as confidence and conditioning grow, it is advised to slowly adjust the treadmill incline to compensate; most treadmills will adjust at a .5% rate, and 1 to 2% would be an end goal. Please remember; even a seemingly minuscule incline (1%) will add significant stretch to your Achilles and hamstring tendons. Always progress slowly over time, especially if you are prone to injury of these soft tissues. * If you suffer from lower back issues, you may want to start at a .5% incline to avoid hyperextension during your treadmill run. ** Most machines will not calculate the additional exertion from incline running; factor this into your training. Perfect your form, and first and foremost, eliminate vertical motion! Train Like a Princess and keep in step!! Step 1~ Does the Shoe Fit? Step 3~ Get on Track! 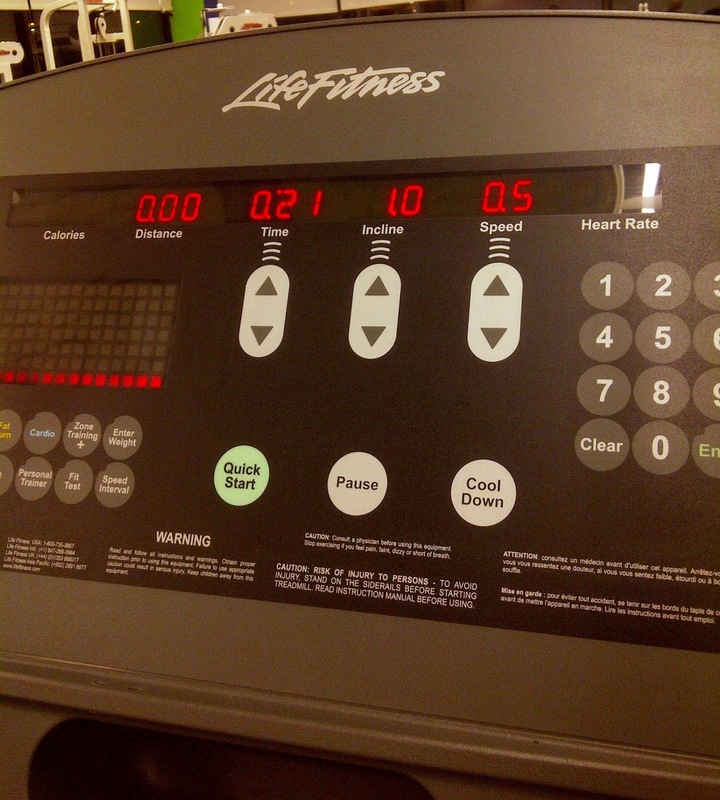 Step 4~ Treadmill or Dreadmill? DIStherapy content is shared for general information and goodwill purposes only. In no event will we be liable for loss or damage including without limitation, indirect or consequential loss or damage whatsoever arising from reliance on the information provided on this website. Therefore, contact your physician before embarking on any physical endeavor. Thanks for the great tip! I have a great one at home but do HATE it.. I use it for intervals mainly.. I hate the feel of running on it – I'll try your tip to feel as though I've got a bean bag next time.. something to think about! Thanks for the bean bag tip. I am running the Princess Half in less than two weeks (!!!) and have trained predominantly on a treadmill (thanks Canadian winters haha). As a newer/beginner runner, form is one area where I am trying to be more aware of what my body is doing and how it is moving and how I can make that movement more efficient. Great post! Great tips once again! I am going to try the bean bag tip today. I actually have a bean bag to try it with too. I may not make it to a marathon but I'll enjoy training like I am:) I'll be with you all in spirit! I hate treadmills. I have tried to love them. It just doesn't work. I will use them for only 3 – 4 mile runs, and they are ALWAYS some type of interval run, usually speed work or hills. I think they work best for speed work, because if I have a target race pace, I can set the treadmill to it and work towards that pace during the intervals. But I think treadmills are rough on the body, too. So aside from boredom, I try to avoid them for that reason as well!